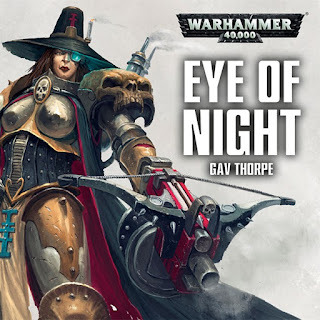 Eye of Night CD cover. 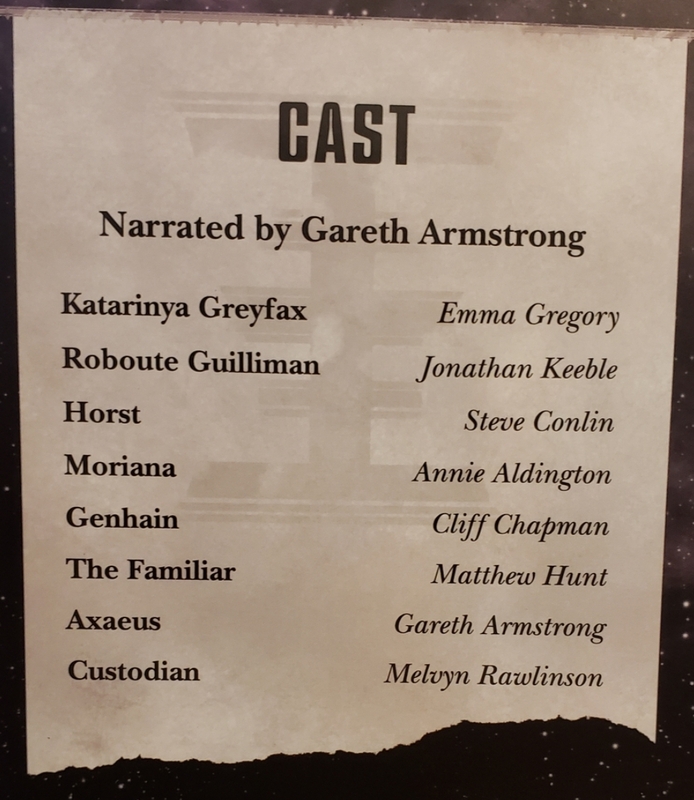 Back in the fall of 2018 I picked up an audio drama while visiting the Warhammer store in Richmond VA. The one I picked up was Eye of Night by Gav Thorpe. I listened to it on the long way home, but decided I needed another listen before I could give it a proper review. Well, I have finally done that and what follows are my thoughts. 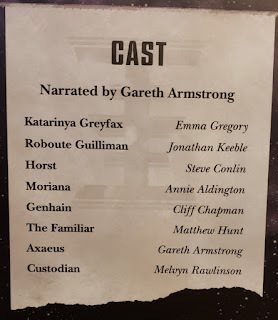 It's a fun audiodrama, and I enjoyed it, particularly the cheesy bits. So what's it about? 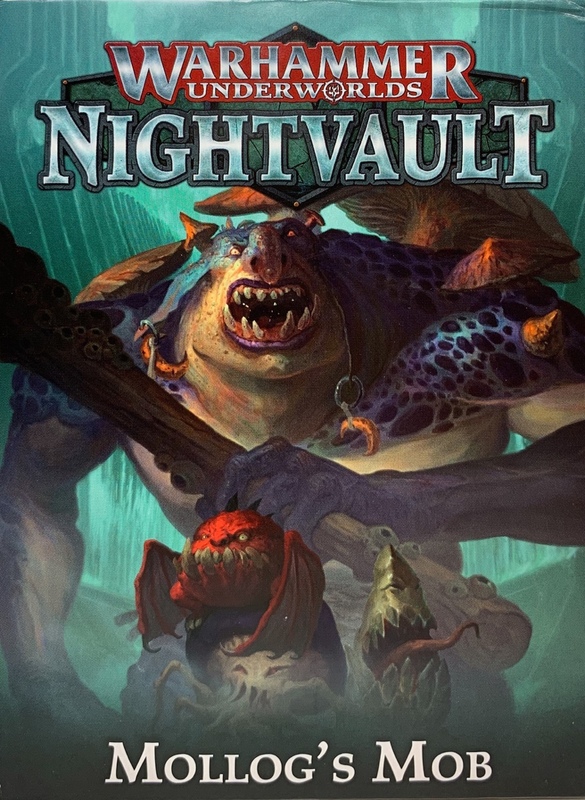 As you can see from the cover it involves Inquisitor Greyfax. 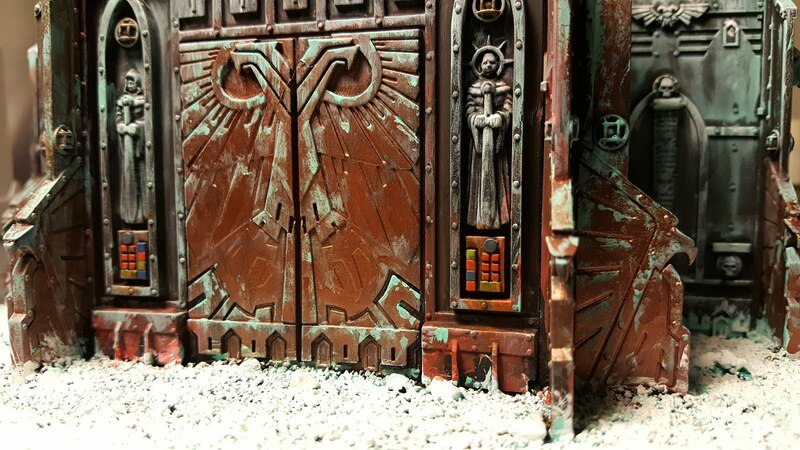 She has been assigned (or "volun-told") by Primarch Roboute Gulliman to seek out an artifact that could aid the Imperium against Chaos in these troubled times. 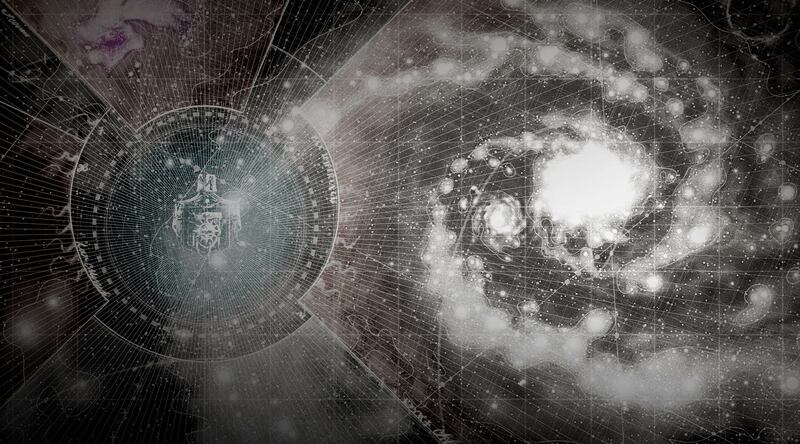 While catching up on some of the history he has missed while he was sorta dead, the Primarch has discovered that Inquisitor Horst had located the Eye of Night but was never heard from again when he went searching for it. She is sent with a squad of Grey Knights to go seek out whatever happened to Horst and retrieve the Eye of Night. The Eye of Night, which is an ancient artifact that Abaddon once razed Ornsworld (a Rattling world) to obtain. OK, that was my synopsis, now for some breakdowns and some possible (and likely) spoilers! 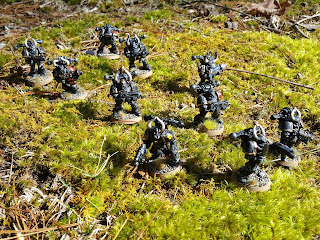 After getting her orders from Guilliman, Greyfax and a small squad of Grey Knights take a jaunt out to the ruined world of Savaven which was blasted apart by Abaddon's Planet Killer during the Gothic War. It;s now an asteroid field mostly. In fact this whole story is clearly inspired by the background from the Battlefleet Gothic game, and I can't help but wonder if a copy of the book was one of the many tomes described to be on Guilliman's desk in the first scene. After slaughtering some traitors, they find the body of Horst in an Inquisitional crypt, who is strangely animated and conscious despite being a skeleton in power armor. After some back and forth, Horst earns enough of Greyfax's trust enough for him to lead the band to the lair of Moriana the Crone, an old chaos witch who further directs the band of Inquisitors to another foe who she says will reveal to them the location of the Eye of Night. It's a bit of a convoluted path which ends in a straight up psychic battle with a Daemon Prince that doesn't disappoint. Was it hard to put down? No, it was engaging despite some cringe-worthy moments. Could I care about the characters? Yes, but more so the secondary characters. I thought Inquisitor Horst was far cooler than the zealous hardline depiction of Greyfax. But I also had a hard time accepting that the Grey Knights would continue to allow a skeleton in armor, pious good guy or not, to continue to exist let alone walk around giving orders, after all this was over, so you can imagine that his fate was somewhat sealed regardless of how this drama played out. Did the writer "get" the 40K universe and how it works? It's Gav! Of course he does. However I can not be sure that some of the actors do. How it's written and how it's said can come off differently when heard by the listener and intention or tone can be distorted or even lost. I maybe paraphasing, but there is a quote that Harrison Ford once told George Lucas that "you can type this stuff, but you can't say this stuff." I think there is a little bit of that taking place. There are some stand out examples of this: The Imperial Palace Custodian that tried to stop Greyfax in the very first scene was almost corny. He sounded so...campy. Seriously, it reminds of kind of pantomime-esque performance one expects to see when visiting London's tourist destinations. Moriana steals the show in over-the-top creepy/cheese witch. Yet I was enthralled by her, and sort of rooted for her over the crazy zealous attitude of Greyfax (hey, she appealed to my inner heretic)..
Was I being talked down too? No, but there are some cheesy moments, especially Greyfax's final speech at the end of the tale. How predictable is this story? Fairly, yet not. I mean, the whole concept of dead Horst getting up and walking around and assisting the Grey Knights and Inquisitor Greyfax was pretty unpredictable. I guess the story isn't so much predictable as some of the dialog is, particularly the battle banter. However, the ending, Greyfax reflecting upon the cost of her victory which culminates with her unsheathing of her sword and yelling out "For the Emperor!" struck me as unintentionally funny. It was as if Gav just didn't know how to end this thing, and a rally cry (to apparently no one) was what made the most sense in the face of a deadline. Do I recommend this book? Yes, good fun, but not vital, unless you are a fan of Battlefleet Gothic background. This stands alone just fine. In fact, I was unaware that the Eye of Night has been in the 40k background since 1999 (ugh, I suddenly feel old!) and didn't uncover that info until I researched the Battlefleet Gothic material for this review. So if you see it some where, this one is a fun one to pick up and give a listen. it does have less cringeworthy moments than good content. But you will cringe when those moments happen, of this I am sure!